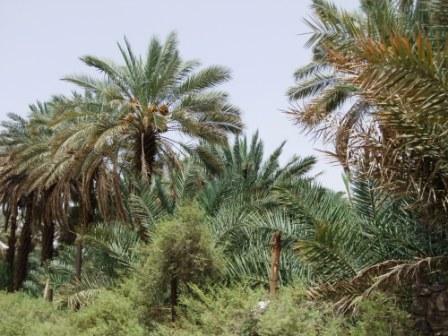 he demanded for a date orchid cosisting of 1000 or 300 trees with full of fruits. and He sallalla ho alli hi wasalam spat on a seed and sowed . when he sallalla ho alli hi wasalam sowed second seed , the fist one had become tree. . in this way whole orcjid became ready in a little time. when jew saw this miracle he became muslim. he not only freed syedna salam farst R.A but awared that orchid to him. a gentle but searing breeze rustles palm fronds that seem to whisper stories from the golden era of our Blessed Prophet SallAllahu alaihi wasallam and his noble and honoured Sahabah RadhiAllahu anhum. Prior to him embracing Islam he was very curious about all that he heard regarding the Prophet SallAllahu alaihi wasallam. But he still harboured doubts as to believing all that came to his notice. During his extensive travels he had heard from various priests and Rabbis that a new prophet would appear in the Hijaz, that he would have a mark between his shoulders, the symbol of the seal of Prophethood, and that he accepted gifts, but not charity. So this was the opportunity Salman al-Farisi RadhiAllahu anhu had to verify if Rasulullah SallAllahu alaihi wasallam was who so many were pledging allegiance to. Salman the Persian RadhiAllahu anhu came to the Prophet SallAllahu alaihi wasallam to seek his counsel and his help. 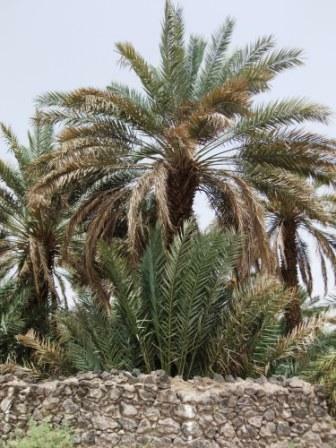 His master, a Jew of the Bani Quraysah, kept him so hard at work on his property south of Madinah that he had never been able to have a close contact with the Muslim community. 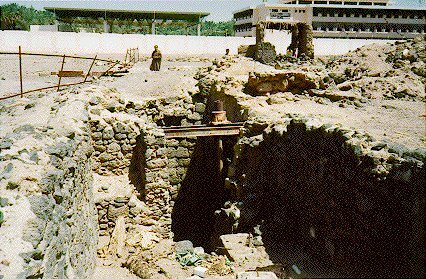 It had been out of the question for him to be at Badr or Uhud or take part in any of the lesser forays which the Prophet had led or sent out during the last four years. Was there no way of escape from this present situation? He had asked his master what it would cost to set him free, but the price was far beyond his means. he would have to pay forty ounces of gold and plant three hundred date palms. The Prophet told him to write his master an agreement to pay the gold and plant the trees. Then he called on his Companions to help Salman with the palms, which they did, one contributing thirty palm-shoots, another twenty, and so on, until the full number had been reached. “Go dig the holes for them Salman,” said the Prophet, “and tell me when thou hast done, and mine is the hand that shall put them in.” The Companions helped Salman to prepare the ground, and the Prophet planted each of the three hundred shoots, which all took root and thrived. As to the remainder of the price, a piece of gold the size of a hen’s egg had been given to the Prophet from one of the mines, and he gave it to Salman, telling him to buy himself free with it. “How far will this go towards what I have to pay?” said Salman, thinking that the price had been greatly underestimated. The Prophet took the gold from him and putting it in his mouth he rolled his tongue around it. Then he gave it back to Salman, saying: “Take it, and pay them the full price with it.” Salman weighed out to them forty ounces from it, and so he became a free man.